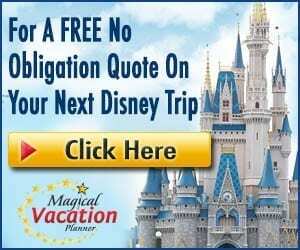 Guests who visit Walt Disney World are sure to have an amazing time and want to always remember the fabulous memories made while enjoying time in the parks, Disney Resorts, and Disney Springs. One of the easiest ways to have fond memories and remember magical moments is by taking lots of photographs throughout the vacation. While guests are encouraged to take their own photos throughout their vacation, Walt Disney World also offers up some unique opportunities where guests can enjoy some amazing photographable moments. 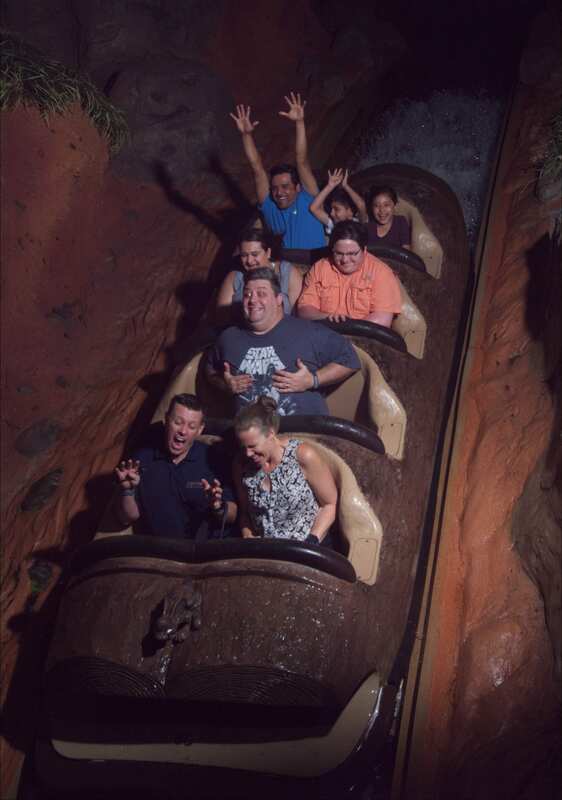 Several attractions scattered throughout the four theme parks in Walt Disney World feature strategically timed photos which capture guests at exciting or pivotal moments in that experience. The resulting photos are always a great way to remember the experience and the fun that guests had, and there are certainly ways to make those photos as amazing as possible. Listed below are our favorite attractions in Walt Disney World which feature on-ride photos and tips for making them as great as possible! Let’s check out how to make the most of attraction photos! The Magic Kingdom’s Tomorrowland is home to Space Mountain which invites guests into Starport 75 for the opportunity to blast off into space. Near the beginning of the attraction, guests move through a small tunnel which features flashing blue lights and a high pitched noise. Just after reaching the end of the tunnel, guests take a sharp turn and a bright flash goes off as their photos are captured. By knowing that the photo is about to be taken, guests can coordinate funny poses or faces to make their Space Mountain photo even more memorable. Frontierland in the Magic Kingdom is home to a thrilling attraction which brings guests on a soaking adventure. Splash Mountain follows Br’er Rabbit as he sets off in search of more adventure while constantly avoiding escape by Br’er Fox and Br’er Bear. With several dips and one big drop at the end, guests are sure to find themselves a little wet by the end of the attraction. The final drop is over five stories high and offers a sweeping views of the Magic Kingdom before guests plummet down into the Briar Patch below. Just as the logs begin to tip forward, a flash goes off and guests have their photos taken. By knowing when the picture is taken, guests can prepare themselves to make funny faces, pose, or huddle together to make the photo even more memorable. Another popular attraction in the Magic Kingdom can be found in New Fantasyland and invites guests into the mines where the Seven Dwarfs work each day. The Seven Dwarfs Mine Train features a unique technology which not only captures guests’ photos but a video of them enjoying the attraction as well. Guests can prepare themselves just before sweeping down one of the lift hills for the photo, but the video often captures them off guard making it totally candid and memorable! Guests who are fans of the Toy Story universe should head over to Buzz Lightyear’s Space Ranger Spin which is also found in Tomorrowland. The attraction brings guests into Star Command and invites them to help defeat the Evil Emperor Zurg by taking aim at targets and collecting power. The final scene of the attraction features a faceoff with Zurg who can be found in his massive spaceship. Just as guests pass by the villain, their photo is taken. Guests who know when the flash is coming can pretend to be concentrating super hard on hitting targets, make silly faces, or find other ways to make their ride photo hilarious. Epcot’s Future World is home to Test Track Presented by Chevrolet which invites guests to design their very own SIM cars and then test them on the track in a series of tasks. The final test focuses on power and speeds guests towards a boundary which suddenly opens to reveal an outdoor portion of track. Just before reaching the boundary, a photo is taken, offering guests the chance to showcase excitement, fear of striking the object, or entertainment from the thrilling attraction. One of the most thrilling attractions in Walt Disney World can be found on the end of Sunset Boulevard in Disney’s Hollywood Studios. The Twilight Zone Tower of Terror has guests board an abandoned service elevator in the Hollywood Tower Hotel to star in their very own episodes of the hit television series. The big moment of the attraction comes when the elevators are suddenly in darkness and begin to plummet and rise over and over again in a thrilling randomized sequence. 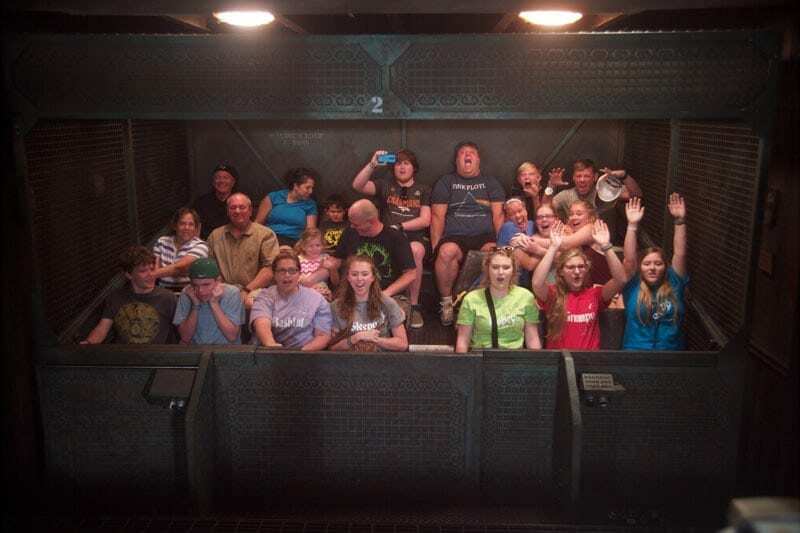 At one point during the drop sequence, guests momentarily pause at the top of the elevator shaft and are offered a panoramic view of the park while their photo is taken. Found right next door to The Twilight Zone Tower of Terror is another thrilling attraction which allows guests to rock out. 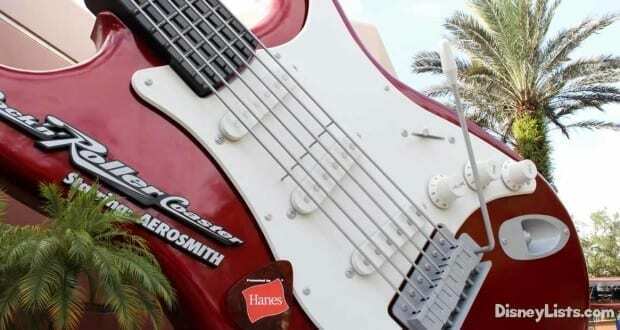 The Rock ‘n’ Roller Coaster Starring Aerosmith has guests board super stretch limos to rocket across downtown in order to make it to a concert on time. The initial launch of the Rock ‘n’ Roller Coaster Starring Aerosmith accelerates guests from zero to sixty in seconds and captures their thrilled and excited faces just as the launch begins. Disney’s Animal Kingdom is home to plenty of amazing attractions including one which brings guests face to face with a mythical creature. Expedition Everest brings guests deep into the Forbidden Mountain where a bit of torn up track leads them to a chance encounter with the Yeti. The attraction features one very large drop that emerges from a cave into the outdoors. Just as guests pass over the threshold of the drop, their photo is taken making for a great opportunity to remember the thrill of the moment! Another thrilling attraction in Disney’s Animal Kingdom brings guests back in time for a prehistoric adventure. Dinosaur brings guests into the Dino Institute where they can travel back to the prehistoric days to locate a specific dinosaur to bring back to modern times. 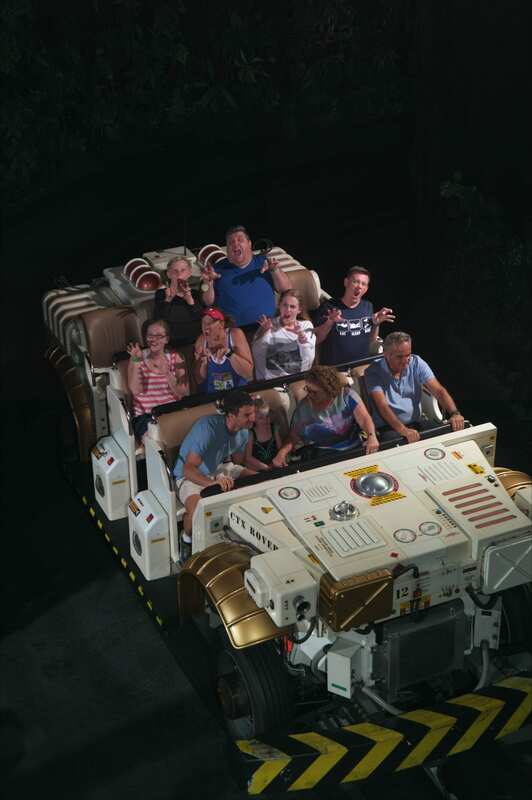 Not everything goes according to plan, and guests will definitely find themselves screaming as a massive dinosaur lunges at them. At that very moment, a photo is taken which is sure to be loved by guests when they see their terrified and excited expressions! Spaceship Earth in Epcot’s Future World is unique in terms on attraction photos. 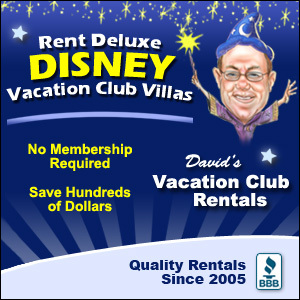 The attraction doesn’t offer guests the opportunity to purchase their photo at the end, but rather allows them to email their unique shot to friends and family for free. 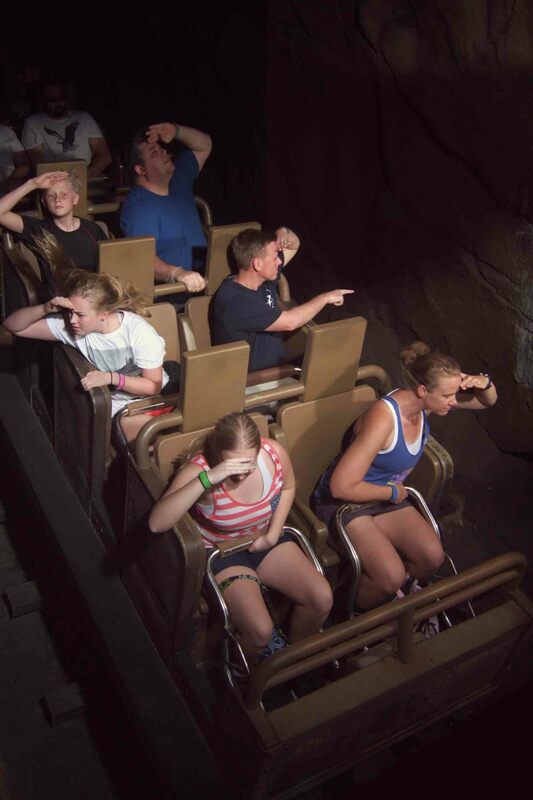 In the beginning of the attraction guests are prompted to face a camera and make sure their faces are visible for a photo. At the end of Spaceship Earth, guests can answer a series of questions which create a cartoon of what their future could look like complete with their faces. After disembarking, guests enter into a post-show area where they can check out a snapshot of their photo on large screen above and then use kiosks to select their photo and send it to friends and family at home.